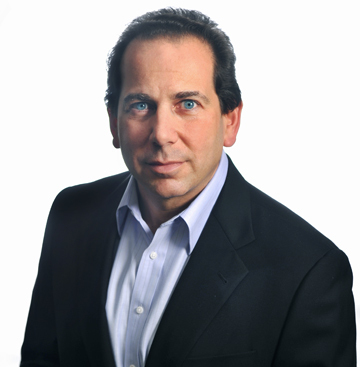 Gordon Plutsky is the chief marketing officer at King Fish Media, based in Boston, Mass. When he’s not strategizing with clients, you might find him writing for the King Fish blog or firing off a few tweets. After all, he has a reputation to uphold: Social Media Marketing Magazine ranked him one of the top CMOs to follow on Twitter. While he’s not in the office, Plutsky also teaches marketing courses at Endicott College in his capacity as an adjunct professor. King Fish Media’s Gordon Plutsky says CMOs need to focus more on analytics and digital content. When you work with clients to identify their goals, how do you approach the process? Clients usually come to the meetings with some sort of notion. Sometimes they’ll want to do 15 white papers, or a webcast, or a video. Other times they need something new or are looking for a content strategy. We sit down and do a discovery phase and work through their basic needs, looking at business goals, their audience, and what’s measurable. In the end, metrics are case by case; it depends on the site model. Retailers are looking for a sale. We work with IBM, and they ask for generating leads, so that becomes the metric. Do you still need to sell clients on the importance of content marketing? From 2007 to 2011 we had a sales pitch on the importance of content. At the time we called it “custom publishing.” Today virtually no one needs to be convinced. Calls come in now with companies saying “I need a content strategy.” But there is more competition now. Now big agencies and companies have come into the market, and for marketers, it comes down to saying how you can do it better. You helped Boston Market build a microsite. Why do companies choose to use these sites? They came in with a strategy, and we worked to separate their main site from sales. The goal was to establish themselves as experts on holidays like Mother’s Day and the 4th of July. It’s separate from the main site, which is transactional and sales oriented. The microsite, the Holiday Hub puts up a wall between them. They wanted people to see Boston Market as a trusted friend and partner. You did a direct mail campaign with Keurig. Is that still an effective marketing strategy? The digital group at Keurig hired us. They wanted new customers for their coffee and brewers and also wanted to reactivate old customers. They had done some social media work, but their focus was an email campaign, which they did a good job with. But new customer acquisition only works if you have a name, and they didn’t have the names. For the campaign we put together a holiday gift guide to get people in the holiday mode and get them gifting brewers. We made materials that were nicely designed, told a story, and had good-looking people, and whimsical content. Many people actually bought the brewers for themselves, and now we’re doing the campaign for a fourth or fifth year. It gets new people, and the lifetime value is high. When a lapsed customer is getting emails after they have stopped buying, the emails may have lost effectiveness or the customer lost interest and is just deleting them. So, a print approach may help reactivate them. You do a great job educating people about content marketing with your Marketing Research Center and your Kings of Content Podcast. How do you provide this useful content without disclosing too much information? We try to demonstrate mastery of a subject and bring knowledge and insight. It’s show and not tell, putting money where your mouth is. It helps in the sales process. Clients need to trust us and in particular to trust me. We approach it as helping more than selling, so we take that chance and give some of that knowledge away. Even with marketing proposals, you give some of your strategy away, but it’s necessary. You’re in charge of promoting the King Fish Media brand. Do you ever use it as a testing ground, or do you stick to a tried and true approach? We use our social accounts to test engagement. The social media manager, Alexis, does the social media for King Fish. We try different tones and images, and then apply them to clients. We absolutely do use it as a testing ground. I’ll try things out on my own Twitter account, and it’s a good way to get word out. If you had to hire a CMO to replace you, what would you look for? You need a digital CMO. The job is less marketing now. People used to come from PR and marketing, but a CMO today combines digital content and analytics knowledge. I was never a creative ad guy, but I was always great with numbers and tech. The market came to me. But in a new CMO, you really need someone who understands analytics. Are there any CMOs you admire or take notes from? The CMO of Ford, Jim Farley, is really great. Terrifically smart. He pushed Ford from a traditional marketer and really went forward on digital strategy and social. Marty St. George, the CMO of JetBlue, created a terrific brand. It’s consistent. It looks great on TV, on the Web, and on social media. They do a good job on customer service, too. Jeff Cottrell, the CEO of Converse, is another example. He turned the brand into a fashion and music icon rather than a sneaker company. They even created a music studio. They really understand their customers. Thanks to Gordon for sharing this insight into the state of content marketing and some of the inner workings of King Fish Media. Help him boost his Social Media Marketing Magazine ranking even further here.